℗ (P) 2016 The So So Glos, Inc., Exclusively licensed to Votiv Music, LLC in the United States. 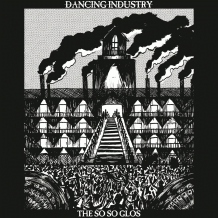 (P) 2016 The So So Glos, Inc.
© (C) 2016 The So So Glos, Inc., Exclusively licensed to Votiv Music, LLC in the United States. (C) 2016 The So So Glos, Inc.